As expected, Netflix’s deal with Comcast has produced a bump in speeds for the streaming video service. In February, Netflix streaming speeds averaged 1.68 Mbps on Comcast, compared to 1.51 Mbps in February. It’s not a huge leap, but it’s the first sign of improvement after Netflix began paying Comcast for a direct connection late last month. Netflix said in a blog post that it expects Comcast to move up in the rankings starting next month. Netflix has become noticeably slower on major Internet service providers, amid escalating disputes over how Netflix’s huge amounts of traffic should be handled. 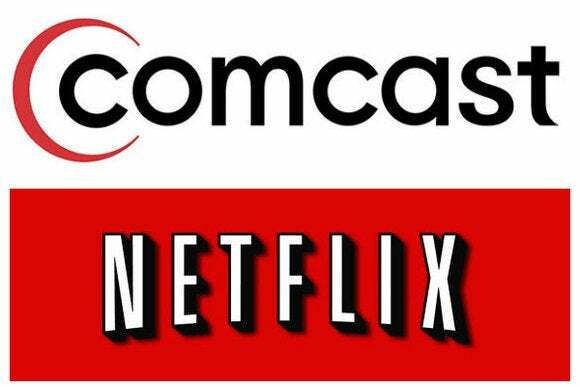 In many cases, Netflix pays third-party transit providers to deliver traffic from their networks to ISPs such as Comcast. Typically, no money changes hands in these “peering” arrangements between transit providers and ISPs, but because Netflix is responsible for so much incoming traffic, ISPs feel they should be paid by Netflix’s transit providers to add more capacity. Meanwhile, Netflix’s average speeds continue to decline on Verizon FiOS, Verizon DSL and AT&T DSL, while AT&T U-Verse speeds improved slightly. Both AT&T and Verizon are also seeking payments from Netflix, as Ars Technica points out. Comcast subscribers can now get the first season of House of Cards through their cable box. Although Netflix and Comcast now appear to be living in harmony, that’s not stopping Comcast from trying to give Netflix customers a way out. Under a deal with Sony Pictures, Comcast subscribers can soon buy the first season of the hit Netflix series House of Cards through their cable boxes. Another popular Netflix original, Orange is the New Black, will become available to Comcast subscribers in May, Variety reports. Until now, Netflix has been the only place to watch House of Cards without purchasing the entire first season on DVD. But because Comcast’s deal only covers season one, subscribers will still need a Netflix subscription to see how Frank Underwood’s latest schemes play out. Update: Individual episodes of House of Cards are already available from other sources such as Amazon and iTunes.